WASHINGTON — Compounds derived from coconut oil are better than DEET at repelling blood-sucking insects, according to a new U.S. Department of Agriculture (USDA) study. For more than 60 years, DEET has been considered the gold standard in insect repellents — the most effective and long-lasting available commercially. However, increasing regulations and growing public health concerns about synthetic repellents and insecticides like DEET have sparked interest in developing plant-based repellents that are more effective and longer lasting. In recent research published in Scientific Reports, USDA’s Agricultural Research Service (ARS) scientists identified specific coconut oil fatty acids that have strong repellency and long-lasting effectiveness against multiple insects — mosquitoes, ticks, biting flies and bed bugs — that can transmit diseases to humans and animals. A team of scientists led by entomologist Junwei (Jerry) Zhu, with the ARS Agroecosystem Management Research Unit in Lincoln, Nebraska, found that the coconut oil compounds were effective against biting flies and bed bugs for two weeks and had lasting repellency against ticks for at least one week in laboratory tests. 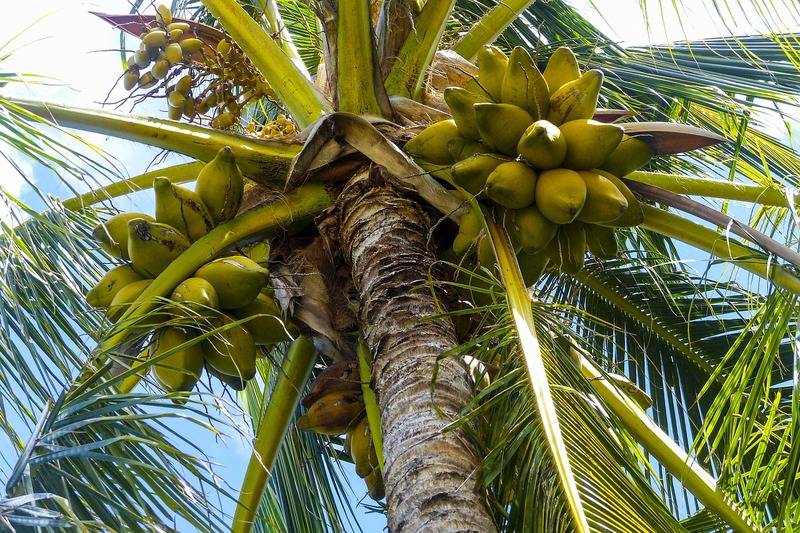 In addition, the compound showed strong repellency against mosquitoes when higher concentrations of coconut oil compounds were topically applied. Coconut oil itself is not a repellent, Zhu emphasized. However, the coconut oil-derived free fatty acid mixture — lauric acid, capric acid and caprylic acid as well as their corresponding methyl esters — provides strong repellency against blood-sucking insects. By encapsulating coconut fatty acids into a starch-based formula, field trials showed this all-natural formula could provide protection to cattle against stable flies for up to 96 hours or 4 days. Against bed bugs and ticks, DEET lost its effectiveness after about three days, while the coconut oil compound lasted for about two weeks. Coconut oil fatty acids also provided more than 90 percent repellency against mosquitoes — including Aedes aegypti, the mosquito that can transmit the Zika virus.